And these are just the sites I know about. They also have multiple websites, with urls and landing pages that are distinct for each of their major markets. Keeping their content fresh on all these channels is a full time job for their marketing department. Apparently it is worth it the effort as their business keeps growing. How about yours? New study shows that those who are fans or followers of a brand on Facebook or Twitter, respectively, are significantly more likely to buy products and services or recommend the brand to a friend. Of course, those findings might be a bit overstated — many people actively seek out the brands they’re already fans of and follow or fan them on Twitter and Facebook. Moreover, the research was conducted among ordinary consumers, not construction industry specifiers or buyers. But there’s still much to be said for the mindshare that engaging those existing brand enthusiasts on social media sites creates, in turn keeping them active. Plus, the study also found that many consumers across a wide variety of demographics have negative perceptions of brands that aren’t using social media. Overall, the study is another sign that social media is becoming a competitive advantage for those that are participating, and an increasingly major weakness for those that aren’t. When I do these "How NOT to" posts I try very hard to obscure all identifying elements in the source material because my intent in posting is to educate and improve the level of of digital communication, not pick on or smear any particular company. This Twitter feed, however, is very strongly branded - one of the things they did right! - which makes it hard to discuss without revealing their identity. The screen shots will have more redaction than I would usually like, and I may have to be more vague than I would like in the discussion. As @DesignHousePlan said in a recent webinar about blogging, "[Readers] can get a commercial anywhere; that's not what they come to your blog for." The same is true of Twitter feeds. There is enough advertising already online that if all you ever post are ads for yourself there is no incentive for people to follow you. This means walking a fine line, because if you have no branding or links to your site there is little value to you in using Twitter. The trick is finding the balance between being overly generic and blatantly self-promotional. As I said, the original is very well designed. They have a distinctive company avatar (which I replaced), good colors, and background on both the company and the person posting, making it personable yet commercial. Their template is slightly mis-sized for the new Twitter format, but I have found it to be much more difficult to design for the new format as it depends so much on the viewer's monitor size, browser window size, etc. Looking past the design, though, the content is problematic. Every one of their tweets on the front page was of the format, "COMPANY NAME has useful new information at our website." The overall effect, rather than appearing expert and helpful, was very commercial. As in radio commercial; loud, repetitive, and overplayed. I like that they are making use of white papers, but the links all look like they just lead to sales literature, which I had no interest in reading. Which is really unfortunate, because when I did click through a few more links for research purposes about half actually were useful, objective research papers that I found very interesting. Unfortunately I could not tell which links led to those resources, and which led to their "Contact us for information about our services!" landing page. If the tweet had been "Learn about the physics behind [Material] in this white paper", I absolutely would have clicked. And so would a lot of architects, engineers, and contractors who like learning about materials and processes on that level. It was the addition of the plug for the company that ruined each tweet. Branding messages do not need to go in the body of the tweet. You only have 140 characters to work with; better to use them for content. If your profile is set up correctly, the branding will be provided by your screen name, avatar, and home page design. One of the best new Twitter features is that when someone retweets your message it is still identified with your name and logo, with a small message underneath stating who retweeted it. This frees you from the need to include branded content in the tweet, because it will be permanently associated with your name. Bottom line is this: it is easy to get a lot of followers on Twitter; getting useful, engaged followers is harder. No one turns on the radio to listen to commercials; be sure your tweets are the songs everyone wants to listen to, and not the commercial interruptions. Are "Likes" more valuable than "Tweets"? [Eventbrite] announced Wednesday that an average tweet about an event drove 80 cents in ticket sales during the past six months, whereas an average Facebook Like drove $1.34. At first glance it is unsurprising that Facebook generated more ticket sales, if for no other reason than it has more members. But it is remarkable that each "Like" generated proportionately so much more. I suspect this is because Facebook is more strongly focused on "Friends". A lot of that has to do with the undifferentiated nature of Twitter traffic - I frequently miss posts from my friends amidst the tide of information - versus Facebook's stronger focus on "Friends". More than that, though, Facebook feels more like a personal recommendation while Twitter is just "information". It is also worth noting that the strongest results came from post-purchase Likes. In other words, it has more impact if your friend has bought ticket and is attending, as opposed to just sharing the webpage of an interesting event. What does this mean to building product manufacturers? This demonstrates that social media word of mouth is still a powerful force. Twitter is great at generating traffic, but those are often short, high bounce rate visits that do not convert to sales. Facebook's Likes are more than just link-sharing, though. They are personal endorsements, especially if they follow purchases or interactions with a product. To take advantage of this, put a Like button on the order confirmation page of your site, if you offer online purchasing. If not, consider following each purchase with a "Thank You" email that contains the Like button. Similarly, reach out to people involved with the project that used your material; encourage them to share their experience, even if they were not the one that made the selection and purchase. QR codes may be a good way to reach on-site users; create a QR code that links directly to a Like button, and put it on your packaging so contractors can share their enjoyment of your product. Can Twitter really increase your traffic? Yes. I was digging through our blog's lifetime analytics recently and noticed something surprising: Twitter is the third highest source of referral traffic to our blog. #1 and #2 are Google and our company homepage. The total number of visitors that come from Twitter is still relatively small; it's completely dwarfed by search engine traffic, for example. The bounce rate (the percentage of people that exit the site after viewing only a single page) is also fairly high, which makes sense; people will follow a link from Twitter to a specific page, read that article, and leave. That means dollar-for-dollar we would get more return from focusing on SEO and Pay-Per-Click ads than on Twitter. But consider this: we spend almost no time or money generating Twitter traffic. Our posts are automatically tweeted; when our followers on Twitter see the article and enjoy it they re-tweet it, and that generates our traffic. There is, of course, time required to set up and maintain a profile, monitor replies, and make new connections, but that is a small time investment. The benefit is a passively generated traffic source that produces steady results. Court rules Twitter "Not Private"
A UK court recently ruled that Twitter messages are not private, and the press (and by extension anyone) were free to use them without consent. ...the PCC said the potential audience for [the Plantiff's] tweets was much wider than her followers, because each message could be forwarded by others, known as retweeting. It also agreed with the newspapers' argument that Twitter was publicly accessible and that the complainant had not taken steps to restrict access to her messages and was not publishing material anonymously. As a result, the commission ruled that the articles did not constitute a breach of privacy. Of particular note in this case is that the tweets in question were from her personal account, and used to shine a negative light in an article about her employer, the Department of Transport. A good reminder that, no matter what distinction you may make between your home and work communications, the Internet sees no difference. My recommendations for dealing with this are to be very conscientious about what you post on behalf of your company, or in a professional capacity, and maintain high privacy settings on your personal accounts. (I also recommend the general guideline Vivian uses that you shouldn't say anything online that you wouldn't say at a cocktail party.) This is not a perfect control, as your posts may be copied or repeated without your consent or knowledge and privacy standards tend to change suddenly with little warning, but it should be enough protection for most people. If you keep a personal blog, consider using a pen name (like "Lulu Brown" does on her blog). For most people this is probably an unnecessary step, though. Despite the paranoid tone of this article, I want to encourage you to continue using your personal social media in a personal way. These are important tools for building and maintaining relationships, and it is ridiculous to cut out curtail these social interactions just because it might come back to haunt you at work. Just keep in mind that what you say to your friends may travel beyond them, so be cautious saying anything you would not want your boss, or your clients, to hear. #worldconcrete is the official hash tag for World of Concrete 2011, according to the show's Twitter stream. However, I have also seen tweets under #WOC2011 and #worldofconcrete. If you are posting tweets, use #worldconcrete; if you are monitoring, check for all three. Hash tags are an important tool for understanding and using Twitter successfully. A hash tag is a single word (or multiple words compressed scriptio continua) preceded by the # character. For example, #construction or #sustainabledesign. They assist in searching by categorizing related tweets; clicking on the above examples will pull up searches of recent posts on those topics. Hash tags have two other significant benefits; anyone can make a new one at any time, and they properly categorize your tweet even if you did not use the proper keyword. This means that I can talk about a new product's environmental benefits without using the term "sustainable design", and a search for the term will still find my tweet. This is important in the Twitter space, where you do not have much room for SEO. For example: "New concrete admixture reduces CO2 emissions 32% #sustainabledesign" clearly makes the point, is clear and coherent, and leaves 73 characters for my company name and link. You do not need to use hash tags on every tweet you make. Use them to link your tweet to a specific larger topic (#construction probably will not help you, but #worldconcrete or #AIA will if you are exhibiting at those shows). For any Twitter marketing campaign where you are asking people to tweet and retweet your message, they are essential. The TwitterMoms Seal of Approval is a social media-based guerrilla version of Consumer Reports; 25+ moms evaluate the product, and post their reviews. It uses the high perceived trustworthiness of peer review and word-of-mouth to create a program untainted by "pay-to-play" certifications or "sterile lab conditions" instead of real-world testing. Sound like something that could exist in the construction world? The TwitterMoms Seal of Approval...is using a QR Code to enable users to scan and read detailed ratings and feedback from the TwitterMoms review process. Enabling the reading of comprehensive product reviews at the point of sale combined with the wisdom of the TwitterMoms crowd just has to be good news for consumers. Again, the value of a program like this in the construction industry would be incredible. Most architects don't think point-of-purchase, but contractors do. And having one-click access on phone or laptop to safety instructions, installation videos, warranty info, and much more would be a huge benefit to them. And architects would still benefit from the reviews, especially those from other architects that have used the product and can give insights the product literature does not. Combined with an online spec writing program, this could become a one-click "Scan here to specify!" Linking the QR code to LEED calculators, GreenFormat listings, or other online databases also fulfills the "Rule Three" criteria of making the content valuable to the user at the moment they scan it. Recommendi links QR codes to customer surveys, creating an opportunity for on-the-spot feedback. Their gallery showcases uses in restaurants, posters in store windows, and on invoices and receipts. I am constantly getting receipts at restaurants and stores asking me to call or visit their webpage to take a brief survey; the ones that don't go straight in the trash get used as bookmarks. But using the QR code makes it easier for me to respond in the moment, and more likely that I'll actually take the time. Where would you want instant feedback from your customer? On the sales literature your rep leaves behind? In your trade show booth? On the customized technical drawings you just sent them? How about user surveys from building occupants, "Scan here to tell us what you think of our lighting!" Imagine a house hunter spotting a Clikbrix QR Code on your ‘For Sale’ sign, agency window or any of your printed, promotional materials... from bus shelters to business cards. She simply opens the QR Code reader on her...mobile device...then points and scans to instantly connect to your Mobile-friendly Professional Profile webpage, paired with robust details of the relative property including stunning photos—she also gets the inside story on the neighborhood, from the best schools to hot restaurants, shops and more. The prospective buyer loves what she sees and is delighted she can e-mail the detailed Property Listing page to her friends; she even shares it on Facebook and Twitter. Point-and-scan access to information about your company on a jobsite sign? That sure sounds valuable, especially when it can be paired with information about how your product is being used on that job, why it was chosen, and an automatically-generated email to your local representative. Now obviously none of these directly impact construction, or are aimed at building product manufacturers, but they are proof-of-concept about what can be done within our industry. There is a wealth of information about your product online - both pieces you posted and user-generated content. The easier you can make it for architects to access that information, the more confident they will be in using your products. What innovative uses of QR codes have you seen? Tell us in the comments! What does this mean to building product marketers? A few things. First, it continues the trend of adoption. People comfortable navigating social networks for their personal life will be more willing and able to use them at work. Developing the habit of sharing favorite pictures with family and friends also prepares them to share your content with co-workers. Second, it's another nail in the coffin of the "Digital Native" myth that the youngest person in the office is the one most likely to use the internet at work. The day when heads of architecture and construction firms will have their own Facebook profiles isn't some distant future event; it's already here. 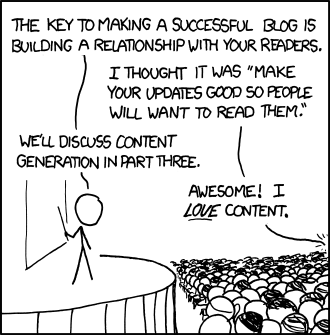 Third, keep this in mind as you design your shiny new website and Facebook fan page. There are important generational differences in how users navigate through a page and find information (for example, younger users are better able to adapt to non-standard navigational schemes), so designing exclusively for one audience may alienate an important demographic from your audience. I would assume that this trend also means "older users" are increasingly willing to experiment with other new media, such as podcasts and phone apps. We considered and rejected a podcast idea a while back because the audience demographics didn't match our target audience well enough, but it may be time to reconsider that. No matter the growing popularity of social networking services among older users, email and online news sites are still far more popular than Facebook and Twitter among this age group. Overall, 92% of all older adults and 89% of all seniors send or read email daily. With regards to online news gathering, 76% of older adults get their news online and 42% say they do so daily. Among seniors, about 62% look for news online and 34% say that they do so daily. In other words, even with increased cross-generational adoption, it's still important to match your medium to your audience. Does Spamming Twitter Improve SEO? Maybe. But I still recommend against it. A Dutch design and development firm Conceptables noticed some odd behavior regarding Google's use of the Twitter API during their development of Mopinion, an online feedback tool. It appears that simply repeating the same tweet over and over was having an impact on the actual Google search results. Each tweet contained a link, so the large number of tweets created a strong association between their webpage and the desired search term. Perez equivocates a bit about whether it actually works or was coincidental, but seems to grudgingly admit it works before concluding "the Google.nl domain is a different database and may operate differently than Google.com, especially when it comes to social signals." This sounds good in theory, but I have a practical and ethical objection to Twitter SEO spamming. First, as Perez points out, it will most likely work differently on the main Google server. More importantly, this flaw having been exposed, I doubt Google's engineers will take it lightly. I expect the next revision to the search algorithm will address Twitter spam, and control for or even punish sites that engage in it. Secondly, I am opposed to spamming of any kind on general principle. I even have reservations about direct mail, because too much of it is unsolicited and unwanted. Twitter spamming reeks of "black hat" technique; this type of behavior will clog Twitter, reducing the value of Twitter as a tool and the enjoyment of it as a social network. Twitter can be an important SEO tool, but do it the right way. Publish consistent, useful information, and follow and retweet appropriately. URL shortners, such as bit.ly and tinyurl.com, have become ubiquitous. They received a huge boost from Twitter's rising popularity because https://webportal.csinet.org/events/vieweventdetail.aspx?code=C72DFE83-657D-DF11-BD27-0019B9E160B2 (a link to our upcoming CSI Webinar on Guide Specs) takes up many times more characters than http://tinyurl.com/28as8nr (98 to 26, in case you were wondering). Beyond reducing character count, a post at SEO Chat blog explains their potential SEO benefits. Part of the benefit is what I demonstrated above; it's much easier to share a shortened URL than the full-length, complex, multi-layer URL, especially for pages with dynamic content. It makes it easier to distribute photos, press kit, guide specs, etc. without worrying about creating a new, easy-to-access high-level page on your website. Also, there is a natural intersection with QR codes because shorter URLs are easier to store and harder to damage. The article also points out that long URLs are more likely to be broken by email programs, which can be a major problem if you are doing a newsletter or email marketing. So how are you going to implement this in your website? Step 2: To make the URL SEO-friendly, you should use the correct anchor text, the title element of the link should be set to the original URL, and the href element to the bit.ly URL. What does that mean? Using my earlier example, when I link to the webinar I will use http://tinyurl.com/28as8nr (the author likes bit.ly, but they are largely interchangeable), but use the TITLE tag so the link looks like this: CSI Webinar on Guide Specs. The link now contains three layers of data: the DISPLAYED TEXT ("CSI Webinar on Guide Specs"), the LINK TITLE (the big long URL) that displays on mouseover, and the TARGET URL (the shortened link). Why is this good? Because it explains what the link is and shows where it will take you, but if someone copies or share the link they get the shorter, easy-to-use version. There are, however, some security risks involved with URL shortners, which this technique exposes; you have no guarantee the link you're clicking goes where you think it will go. That could eventually cause some trouble for spam filters, so use shortened URLs cautiously and honestly. You may not feel like redoing every link on your site as he recommends, but it is an interesting technique to consider. Enough so that I'm looking into creating our own private link shortener so we can get these benefits without being dependent on an outside service. Geo-tagging Photos: Using location-data from the other side, photos tagged with location data provide an extra layer of information about the featured projects. As Michael is fond of saying, all construction is local. Architects don’t just want to know your product was used, they want to know it was used in their neighborhood, or one similar to it. Increasingly, photo gallery programs feature built-in location filters that automatically create “albums”, meaning architects can both flip through projects near them, and find the location of their favorite ones. Create Project Tours: This is something Gowalla does well, demonstrating again that this year’s “toys” can become next year’s indispensable tools. Users can create tours, marking several of their favorite locations and linking to information about each. Use this feature to create a walking tour around towns where you have several notable projects; encourage your prospects to check-in at each (achieved by clicking an in-program button while at the location), and have a prize or coupon for those that visit all the sites. In addition to building engagement, this is a good way to advertise how much work you’ve done around town. Job Signs: Similar to QR codes, geo-tagging is a good way to publicize your involvement in a project. While QR codes require active participation (users must open the program and scan the image), location-based ads can be more passive, popping up on maps automatically within a defined range. This can also create a permanent digital signature on your work, especially as the precision of these programs increases. Imagine getting a message on your phone as you walk through a building: “Look up! The light fixture shining on you was made by Juno Lighting”, with a link for more information. Trade Show Ads: This is most similar to the typical retail uses of location-based ads. As show attendees approach your booth, a message pops up telling them about your new product and any special show offers you may have. Alternatively, you might list all the shows you are attending this year, and have special offers for people that check-in at more than one of them. This also works with allied products: attendees visiting a concrete polisher might receive ads informing them of near-by stain or cleaning product manufacturers. Architectural Location-Based Network: Eventually I hope one of the existing networks will create architecturally-focused addons, or someone will create a location-based network specifically for the construction industry. In this network, buildings’ location-tagged profiles could tell users about materials used, design team, energy savings, and similar important information. Architects would gladly participate, both creating and viewing profiles, because they would enjoy the meta-level experience of seeing a building on so many different levels. Meanwhile manufacturers and contractors capitalize on the architect’s experience by linking their name to the project. These uses focus on the social media-aspect of location software; there is an entirely different range of applications within design programs, combining BIM with location-aware software to improve many aspects of design and construction. I will address those in a future post. Building Product Manufacturers can learn how to shape up their marketing strategies by using some mainstream consumer marketing campaign techniques. If you are on Twitter, Facebook, or are a frequent blog reader, you're probably following someone or are a fan of a brand that you like. So that means you are obviously already a fan of Chusid Associates, BuildingProductMarketing.com, and are following @ChusidAssociate on Twitter. You may even be the lucky winner of a prize or two due to the contests your favorite companies have held (like me! -- I recently won a trip from Southwest and Marriott Napa and a TBD surprise from Burke Williams Spa). I have been a contestant in many other contests but wasn't as lucky. via Twitter, Facebook, and having customers join their email newsletter lists. More and more companies are starting to hold contests via Twitter, Facebook, and their blogs in order to drive traffic to their websites, gain brand ambassadors, and to establish their reputations as passion brands who care about their customers. As soon as you create a decent-sized social media audience for your company, it's time to keep them coming back. What does everyone love? Free stuff. What better way is there to keep people coming back to your site? That's right, give them a free window, or door, or 75% off an order and free shipping! Step 1: What type of contest should I have? -Frequent contests will drive more web traffic to your sites since you invite people to come back for more competitions on a weekly or semi-weekly basis. -Less frequent contests are more spread out and usually involve more expensive prizes. -Tuesdays and Wednesdays tend to have the highest web traffic. If you plan to have a frequent contest, hold your first competition on a high traffic day so that customers actually participate. You can change the schedule after you've gained followers, but try to remain consistent so your customers know when to return to your site and can even set a weekly calendar reminder. -For frequent contests, some companies will hold competitions on their off days (such as a Sunday) so that they get more web traffic on a day that they don't usually post anything and also so people who can't get onto social media sites during regular M-F business hours can participate. -As I mentioned above, remain consistent. For frequent contests, consistency is key so that people remember what day your competition is on (try to stray from holding a competition at the same time/day as your competitors). -For either contest type, publicize the event on all of your social media sites. B) What do I ask my customers/contestants to do? -Some companies will ask 3 trivia questions that relate to their products or services and the first person to answer all 3 correct in the comments field below or Twitter feed will win the prize. -Other companies may choose a winner at random. They may give certain guidelines for the contestant pool such as they need to be a fan of the company on Twitter, Facebook, and they need to join their email newsletter list. They may also say you have to post updates to your friends on Facebook or Twitter. -Photo contests and creativity contests are always fun, but the judging is more subjective and might upset some contestants or make them feel that the contest may have been rigged (solve this by having the customers do the voting). The contests will become more interactive and get you more web traffic if you have your customers vote to determine the winner. Step 2: Drive traffic to your website. -A lot of companies that use the trivia method tend to ask questions that the contestants can only find on the companys' websites. For example, ask them a detail about your newest product and why it's so innovative. Then maybe have them define the science behind your product or look for an answer that involves a term you've coined. -This helps increase the company's web traffic and therefore may turn into an asset when trying to get advertisers for the company's site. -Make being your company's follower on Twitter, your fan on Facebook, and entering their name onto your email newsletter list a part of the winning criteria. If you don't want them to feel forced into doing all three, at least tell them they will increase their chances with each new way they connect to you. Step 3: Give them the prize on time. -In a recent contest I won, the prize still hasn't arrived and it's been over 2 months. This might be a glitch in the mailing system but they claimed to have re-sent the prize and I still haven't received it. I am a nice person so I'm not going to go bash the company and post all over their online sites, but other people may not be so nice. -Social media is a great tool that can be used to your advantage, but can also be used against your brand if you don't meet the customers' expectations. -If you do send them their prize on time, they will most likely announce it to all of their friends on social media sites, granting you more publicity. They may also take pictures of the prize or experience and post those. Both of these benefits should drive fresh prospects to your site. I'm sure I haven't covered all aspects of how to hold a social media contest, so feel free to read a similar article here. See my recent post about a photo contest idea a roofing company held here. Joy Davis, CSI recently presented the following slide show about social media at the Construct 2010 convention in Philadelphia. Look for our newsletter on slide 19. "What did excite me about Lightfair this year actually had nothing to do with lighting. Rather it was the way so many in the industry—both on the design and manufacturing side—were embracing different forms of social media. For example, a year ago if you had asked someone if they were on Twitter, they would have looked at you with a blank stare. This year lighting manufacturers galore had set up Twitter accounts and were Tweeting from the show. In fact Architectural Lighting organized the first ever Tweet-up at Lightfair. A chance for people who communicate regularly via this social network platform to meet in person and connect, about a dozen folks gathered at the Design Lounge on the show floor A|L was sponsoring this year. It was a fantastic way to connect with our readers and stay true to what A|L is all about: promoting dialogue through different forums." She is probably ahead of the digital media curve, due to her experience publishing an electronic newsletter and a robust online edition. The question, however, is: What is the most effective way for you to embrace the new media?